Take a screenshot, via your mobile phone, of your favourite item found in the ‘As seen on Expresso & Afternoon Express’ section on the Woolworths (Pty) Ltd app;Like the Expresso Facebook page (if you have not already done so previously);Post the screenshot as a reply to the Competition post on the Afternoon Express Facebook page during the Competition Period. Only entries received during the Competition Period will be considered. Competition closes: 06 October 2017 at 23:59 Terms and Conditions Apply. 1.1. The Afternoon Express Woolworths Gift Card Competition (Competition) will be run by Cardova Trading (Pty) Ltd in association with Woolworths (Pty) Ltd (Organisers/we/us/our). Entries for the Competition will open at 6h30 on Monday, 2 October 2017 and will close at 23h59 on Friday, 6 October 2017 (Competition Period). 4.1.3. Post the screenshot as a reply to the Competition post on the Afternoon Express Facebook page during the Competition Period. Only entries received during the Competition Period will be considered. 4.3. You can only enter once for this Competition. 5.1. We will randomly draw a 1 (one) person (Winner) from all correct entries by means of an automated system within 24 (twenty-four) hours of the Competition. 5.2. We will notify the Winner by commenting on the Winner's entry post within 3 (three) days from determination of the Winner to request a copy of his/her identification document in order to validate his/her entry and to request further contact details. The Winner shall be required to provide an electronic copy of his/her identification document within 3 (three) days from being requested by us, failing which the Winner will forfeit the Prize and have no claim against us. 5.4. The Winner may also be announced on Afternoon Express show, on the Afternoon Express website and/or social media pages once the Winner is confirmed. 6.1. The Winner will receive a R 500.00 (five hundred rand) Woolworths gift card voucher (Voucher/Prize). 6.3. 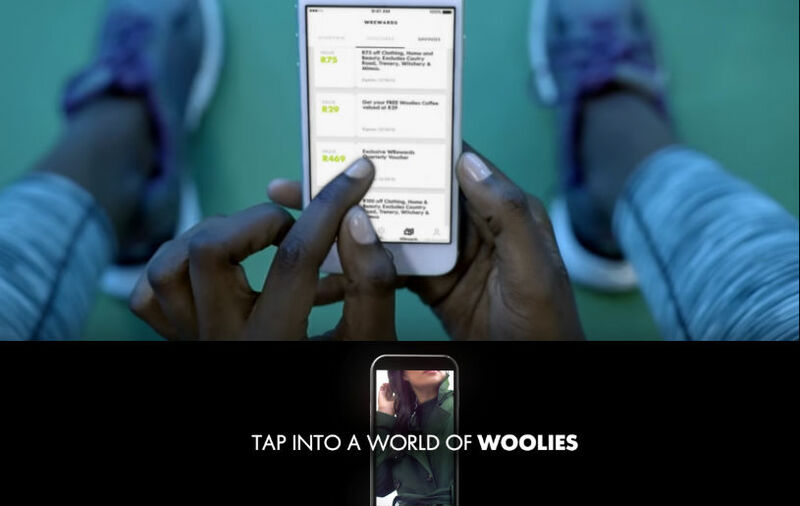 The Voucher may be presented as payment for purchases at participating Woolworths stores and use of the Voucher shall be subject to standard terms and conditions for such Vouchers as promulgated by Woolworths. 6.4. Purchases can be made using the Voucher until the value reaches zero. The Voucher cannot be reloaded. 6.5. The value in the Voucher is only exchangeable for purchases at selected Woolworths stores and may not be refunded or redeemed for cash. No cash will be given. 7.3. We reserve the right to amend these terms and conditions at any time during the Competition Period should it be deemed necessary by us in our sole and unfettered discretion. 7.7. You warrant that your entry does not contain any material that may reasonably or generally be deemed to be derogatory or offensive to other persons. We reserve the right to remove any post from any media platform controlled by us should we in our sole and absolute discretion deem any material contained in your entry to be derogatory or offensive. 7.8. We will need to process your personal information to validate your entry as well as to contact you to offer you products and, if you are a Winner, to make the Prize available to you. By entering this Competition, you specifically and expressly consent to us processing your personal information for these purposes and you specifically and expressly consent to us contacting you for marketing purposes. 7.10. Once the Winner accepts the Prize, the Winner accepts the Prize at his/her own risk. 7.11. We assume no liability whatsoever for any direct or indirect loss, harm or damage arising from your participation and/or any Prize awarded in the Competition or for any loss or damage, howsoever arising. All persons entering this Competition, indemnify and hold us harmless for any loss, claim, damage, expense, harm or injury (whether arising from negligence or otherwise) which may be sustained him/her or any third party as a result of his/her participation in this Competition or any use of the Prize. 7.13. The Competition is in no way sponsored, endorsed or administered by Facebook and any correspondence related to the Competition should be directed at us and not Facebook.